Our finance team will work with you to find the right car payment plan for your new Honda. We have great financing and leasing options on our Honda vehicles so that you can get the Honda Accord, CR-V, or Civic you want. 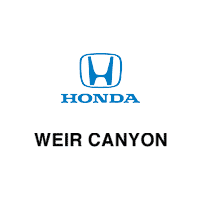 Apply for financing or request a quote below, or contact Weir Canyon Honda for more information on our car payment options!